There are 11 posts tagged CIFOR (this is page 1 of 1). In October 2017, CIFOR put out a report titled, “Rights abuse allegations in the context of REDD+ readiness and implementation: A preliminary review and proposal for moving forward”. In early November, REDD-Monitor wrote a post about the report. In 2007, the Forest Peoples Programme put out a briefing paper about reduced emissions from deforestation, or RED, as REDD was called back then. The briefing warned of the risks of the rapid expansion of avoided deforestation schemes without due regard to rights, and social and livelihood issues. São Félix do Xingu is a large municipality in the state of Pará, Brazil. Since 2001, it has had one of the highest rates of deforestation in the Amazon. Covering an area of 8.4 million hectares, with more than two million head of cattle and a little over 106,000 people, it easy to see what the main driver of deforestation is. Earlier this week, REDD-Monitor wrote a post about a CIFOR InfoBrief on the “REDD+ Governance Landscape” in Brazil. While the brief is interesting, I was concerned that those critical of, or opposed to REDD were excluded from CIFOR’s study. Everybody knows how not to cut down trees, so why is REDD so difficult to implement? Since 2009, CIFOR has been carrying out research into 23 REDD projects around the world, as part of its Global Comparative Study on REDD+. 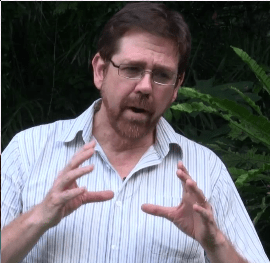 Three years into the research, CIFOR realised that REDD was “barely moving ahead”, as William Sunderlin, principal scientist at CIFOR, puts it. “Our world is at a turning point”, says CIFOR’s Peter Holmgren. Yeah right. “Our world is at a turning point”, said Peter Holmgren, Director General of the Centre for International Forestry Research, in his opening address at the Forest Asia Summit earlier this month. Yesterday, at COP19 in Warsaw, Norway, the UK, and the USA launched yet another initiative to protect forests and reduce greenhouse gas emissions. Called the “BioCarbon Fund Initiative for Sustainable Forest Landscapes”, this will be a public-private partnership housed in the World Bank. Trying to calculate how much avoided deforestation has been achieved through a REDD project is not an easy matter. In fact it’s impossible without knowing what would have happened in the absence of the REDD project. Today, Indonesia’s president Susilo Bambang Yudhoyono is giving a policy address at CIFOR on the theme “Forests in the Future We Want”. He’s painting a rosy picture of the way Indonesia has addressed the problems that the forest sector caused in the past. At the 2007 climate conference in Bali, the Center for International Forestry Research (CIFOR) organised a Forest Day. In Poznan, on 6 December 2008, CIFOR held Forest Day 2.